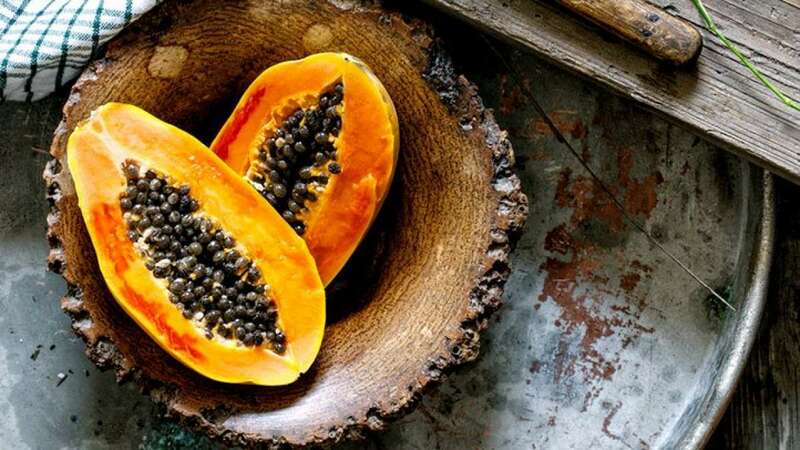 Papaya is amazing for your cholesterol when it clogs and narrows your arteries. It is rich in vitamins B, C, E, beta-carotene and lycopene which in turn helps reduce the oxidation of cholesterol within your body's arteries. More intake of the fruit keeps blood flowing to the heart in ample amount, reducing chances of heart attack and stroke. Suffering from poor digestion? Papaya can be of your help. The fruit comes with a magical power to cure all king of digestion vows. This, in turn, helps you metabolise and break down foods faster. For all the diabetic patients, Papaya is a fruit they can have without compromising on the taste. Yes, the fruit is sweet, but then it is the healthy sweet as one can call it. An amazing source of antioxidants, papaya is a practical and affordable choice for anyone seeking a guilt-free treat. Papaya is a nutrient-rich fruit, which is known to help protect the body's natural defence. The fruit contains cancer-fighting lycopene and carotenoid called beta-cryptoxanthin, specially against the lung cancer. Have you been experiencing menstrual irregularities? Papaya helps in reducing painful cramps and it is delicious in taste. Want to shed that extra layer on your tummy to fit into your favourite clothes? Then make friends with papaya dear ladies! This amazing fruit contains a super enzyme called papain which helps in promoting faster digestion and also relieves constipation. Just like carrots, papaya provides us with carotenoids. It is rich in beta-carotene, which makes it a fab way to help against age-related degeneration and cataracts. So what are you waiting for? Go and grab a bowl of papaya right now.